The European Parliamentary elections are only eight weeks away, and as part of Euronews' Road Trip Europe, we are travelling around the continent and talking to voters to find out what issues matter most to them. This week, our team is travelling through Spain - they started the trip in Extremadura and moved through Badajoz, Almendralejo, Cordoba to Calpe, which is home to around 130,000 British expatriates. 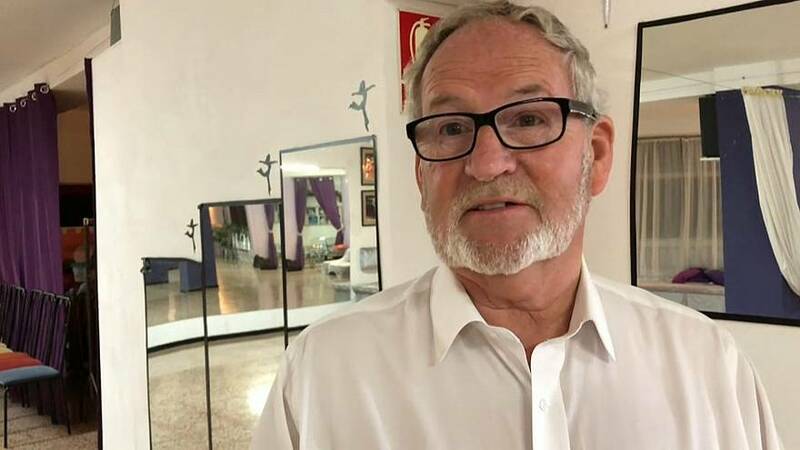 At a weekly dance gathering some expats expressed their anger and concerns over the situation with Brexit - the EU's biggest political and diplomatic crisis in decades. "I think there is a lot of confusion," one man told Euronews' Anelise Borges "Nobody seems to know what they are doing. One party is saying one thing, one is saying the other and the people haven't got a clue what is happening,"
Despite all the uncertainty, some expats remain optimistic about the outcome of Britain's exit from the EU. "I don't know that it will turn out so badly in the long term. I think once the decisions have been made and they start moving forward, Britain will survive this. She has survived many other things in the past, much worse things than Brexit," a woman told Euronews. Click on the player above to watch the full report. Road Trip Europe Day 6: Is Catalonia Spain's biggest problem?